2018 INFINITI QX60 How our users rated the 2018 INFINITI QX60. Based on 491 user rankings. Driven or own this vehicle? Rank this vehicle to share your opinion. 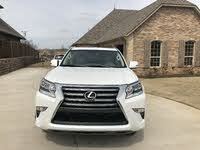 2018 Lexus GX How our users rated the 2018 Lexus GX. Based on 786 user rankings. Driven or own this vehicle? Rank this vehicle to share your opinion. 2018 Lincoln MKX How our users rated the 2018 Lincoln MKX. Based on 297 user rankings. Driven or own this vehicle? Rank this vehicle to share your opinion. 2018 BMW X6 How our users rated the 2018 BMW X6. Based on 510 user rankings. Driven or own this vehicle? Rank this vehicle to share your opinion. 2018 Volvo XC90 How our users rated the 2018 Volvo XC90. Based on 422 user rankings. Driven or own this vehicle? Rank this vehicle to share your opinion. 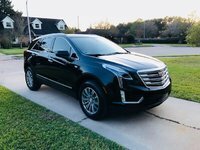 2018 Cadillac XT5 How our users rated the 2018 Cadillac XT5. Based on 208 user rankings. Driven or own this vehicle? Rank this vehicle to share your opinion. 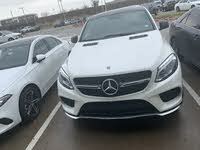 2018 Mercedes-Benz GLE-Class How our users rated the 2018 Mercedes-Benz GLE-Class. Based on 246 user rankings. Driven or own this vehicle? Rank this vehicle to share your opinion. 2018 BMW X5 M How our users rated the 2018 BMW X5 M.
Based on 338 user rankings. Driven or own this vehicle? Rank this vehicle to share your opinion. 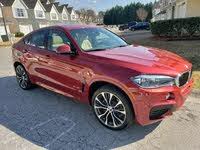 2018 BMW X6 M How our users rated the 2018 BMW X6 M.
Based on 169 user rankings. Driven or own this vehicle? Rank this vehicle to share your opinion. 2018 Lexus RX Hybrid How our users rated the 2018 Lexus RX Hybrid. Based on 280 user rankings. Driven or own this vehicle? Rank this vehicle to share your opinion. 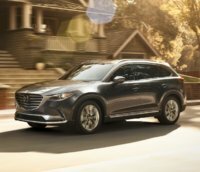 2018 Acura MDX How our users rated the 2018 Acura MDX. 2018 Lincoln MKC How our users rated the 2018 Lincoln MKC. Based on 535 user rankings. Driven or own this vehicle? Rank this vehicle to share your opinion. 2018 BMW X5 How our users rated the 2018 BMW X5. Based on 439 user rankings. Driven or own this vehicle? Rank this vehicle to share your opinion. 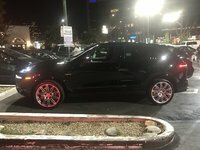 2018 Porsche Cayenne How our users rated the 2018 Porsche Cayenne. Based on 65 user rankings. Driven or own this vehicle? Rank this vehicle to share your opinion.